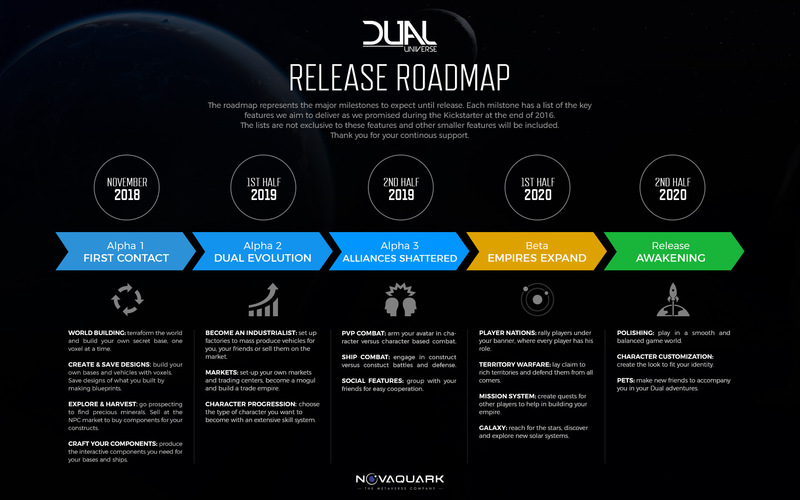 Last week, Novaquark hit it’s biggest milestone yet in the development of its sci-fi civilization-building MMO, Dual Universe, launching into its first playable Alpha. To celebrate this exciting milestone and build upon the game’s recently-released launch trailer, the team has put together a brand new video that offers an in-depth look at all the features currently available in Dual Universe’s Alpha 1. Commented by Jean-Christophe Baillie, CEO & Creative Director of Novaquark and Baptiste Agati, Game Designer of Dual Universe, it includes everything from creation tools for building futuristic cityscapes, to hoverbikes for exploring uncharted planets. Thanks to the dev team’s terraforming efforts, Alioth, the game’s starting planet, has reached an area size close to the one of real life Great Britain, and that’s only the first planet. Dual Universe is available now in its Alpha 1 phase, with Alpha 2 slated to arrive in the first half of 2019.